Some of the most innovative ways being used to improve agricultural practices involve nuclear technology. Nuclear applications in agriculture rely on the use of isotopes and radiation techniques to combat pests and diseases, increase crop production, protect land and water resources, ensure food safety and authenticity, and increase livestock production. FAO and the International Atomic Energy Agency (IAEA) have been expanding knowledge and enhancing capacity in this area for over 50 years. And the results have led to some major success stories around the world. Here are just seven examples of how nuclear technology is improving agriculture. Nuclear and related technologies have made a difference in improving livestock productivity, controlling and preventing transboundary animal diseases and protecting the environment. For example, Cameroon uses nuclear technology effectively in its livestock reproduction, breeding, artificial insemination and disease control programmes. By crossing the Bos indicus and the Bos taurus (two local cattle breeds), farmers have tripled their milk yields - from 500 to 1 500 litres - and generated an additional USD 110 million in farmer income per year. Another programme has dramatically curbed the incidence of Brucellosis, a highly contagious zoonosis, or disease that can be transmitted from animals to humans who drink unpasteurized milk or eat undercooked meat from infected animals. Nuclear techniques are now used in many countries to help maintain healthy soil and water systems, which are paramount in ensuring food security for the growing global population. For instance, in Benin, a scheme involving 5 000 rural farmers increased the maize yield by 50 percent and lowered the amount of fertilizer used by 70 percent with techniques that facilitate nitrogen fixation. 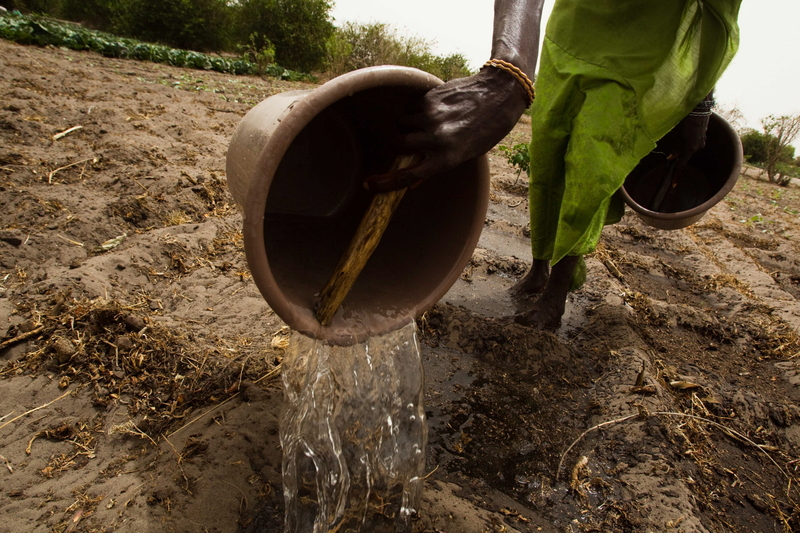 Similarly, nuclear techniques allow Maasai farmers in Kenya to schedule small-scale irrigation, doubling vegetable yields while applying only 55 percent of the water that would normally be applied using traditional hand watering. The nuclear-derived sterile insect technique (SIT) involves mass-rearing and sterilizing male insects before releasing them over pest-infested areas. 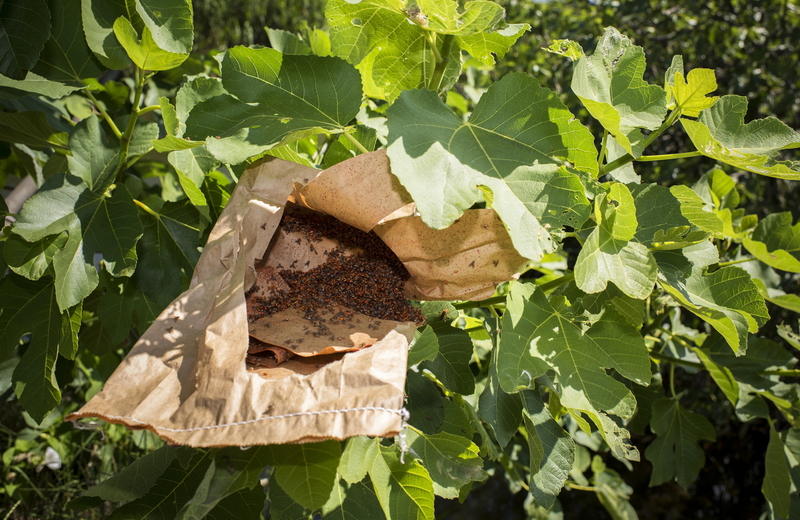 The technique suppresses and gradually eliminates already established pests or prevents the introduction of invasive species – and is safer for the environment and human health than conventional pesticides. The governments of Guatemala, Mexico and the United States of America have been using the SIT for decades to prevent the northward spread of the Mediterranean fruit fly (medfly) into Mexico and USA. In addition, Guatemala sends hundreds of millions of sterile male medflies every week to the US states of California and Florida to protect valuable crops, such as citrus fruits. With the sterile male medflies unable to reproduce, it is really the perfect insect birth control. Food safety and quality control systems need to be robust at national level to facilitate the trade of safe food and to combat food fraud, which costs the food industry up to USD 15 billion annually. 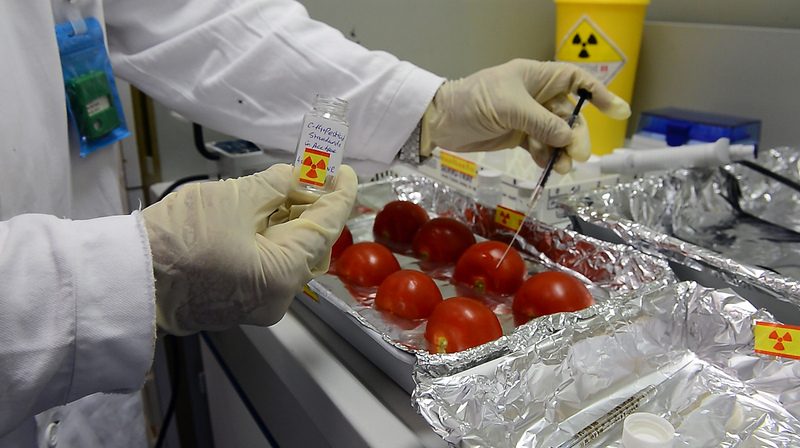 Nuclear techniques help national authorities in over 50 countries to improve food safety by addressing the problem of harmful residues and contaminants in food products and to improve their traceability systems with stable isotope analysis. 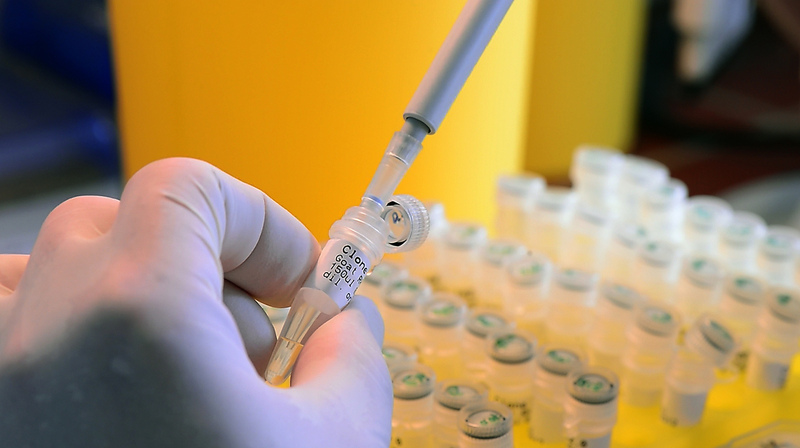 For example, scientific programmes in Pakistan, Angola and Mozambique now enable the testing for veterinary drug residues and contaminants in animal products. Already some 50 Pakistani food production and export institutions benefit from the new laboratory testing capabilities, which help ensure they meet international food standards and boost the country’s reputation in the international food trade. Radioactivity is present in everything that surrounds us – from the sun to soil. But should a nuclear incident or emergency happen, an understanding of the movement of radioactivity through the environment becomes crucial to prevent or alleviate the impact on agricultural products. During the 2011 nuclear emergency in Japan, FAO and IAEA compiled an extensive and authoritative database on food contaminated with radioisotopes. This database supported the information exchange and facilitated appropriate follow-up actions to protect consumers, the agri-food sector and the world at large. The agricultural sector uses nuclear and related technologies to adapt to climate change by increasing resource-use efficiency and productivity in a sustainable way. The nuclear-derived cross-breeding programme in Burkina Faso is a great example of helping farmers to breed more productive and climate-resistant animals. The programme is underpinned by genetic evaluations in four national laboratories, with scientists also able to use associated technology to produce a lick feed that provides the bigger, more productive livestock with the nutrients they need. Crop-breeding programmes use nuclear technology to help vulnerable countries ensure food security, adapt to climate change and even to tackle seasonal famine. 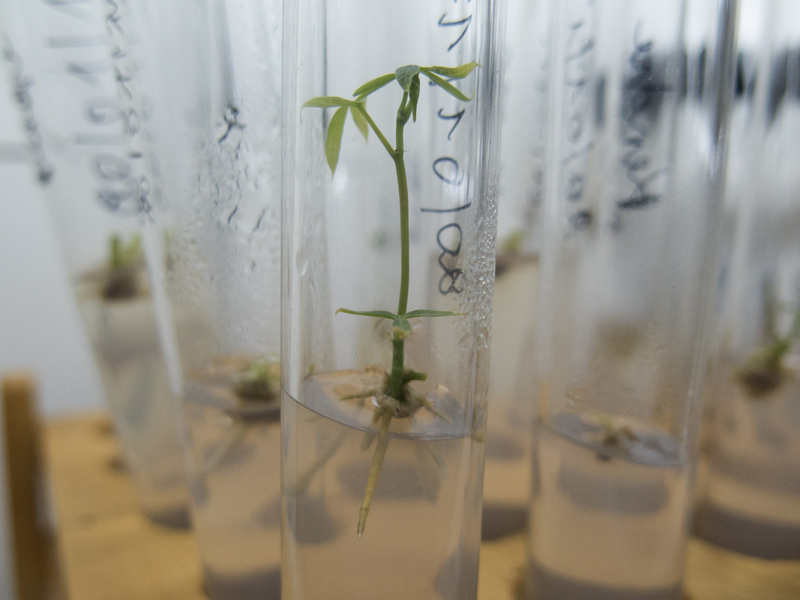 New mutant crop varieties shorten the growing process, thereby allowing farmers to plant additional crops during the growing season. 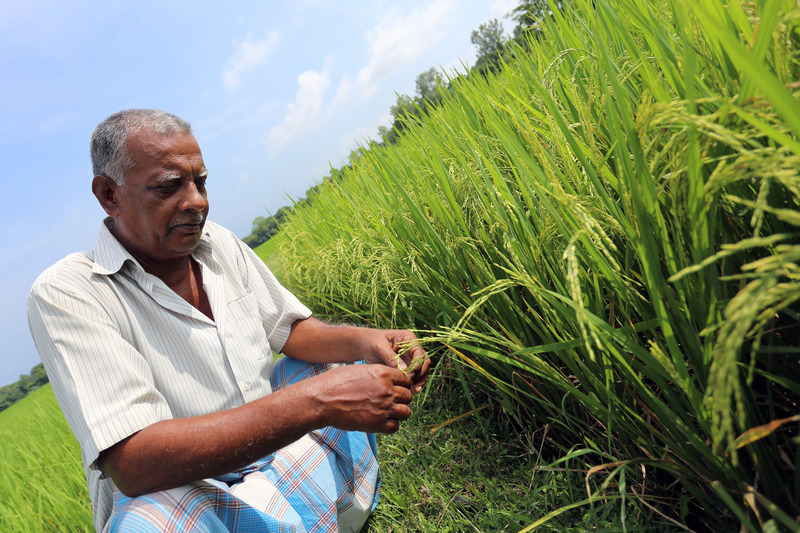 In recent years, farmers in northern Bangladesh have been using a fast-maturing mutant rice variety called Binadhan-7. This variety ripens 30 days quicker than normal rice, giving farmers time to harvest other crops and vegetables within the same season. Thanks to Binadhan-7 and other factors, rice production in Bangladesh increased from 26.8 million tonnes in 2003-2004 to 33.8 million tonnes in 2012-2013.